I'm very happy and relieved to be able to say that the reason for the condensation problem in the Ltl Acorn 6210 Trail Camera has been identified. After lengthy tests and analysis the cause of water getting into the control panel is, at long last, understood; and some final changes to the case upgrade are now being made. I don't know exactly how long this will take, but it will be as fast as possible. I will post a full explanation of the problem and how it was solved at a later date. 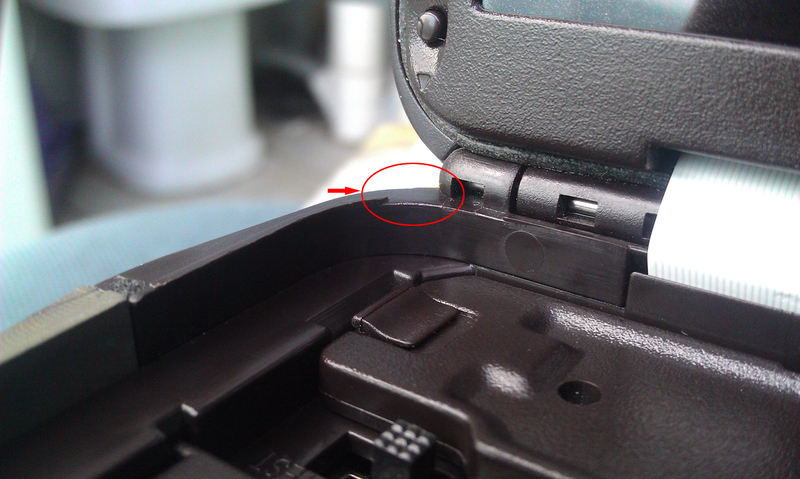 Users of cameras which have this problem should remove the rubber bung (external power supply input) from the base of the camera. 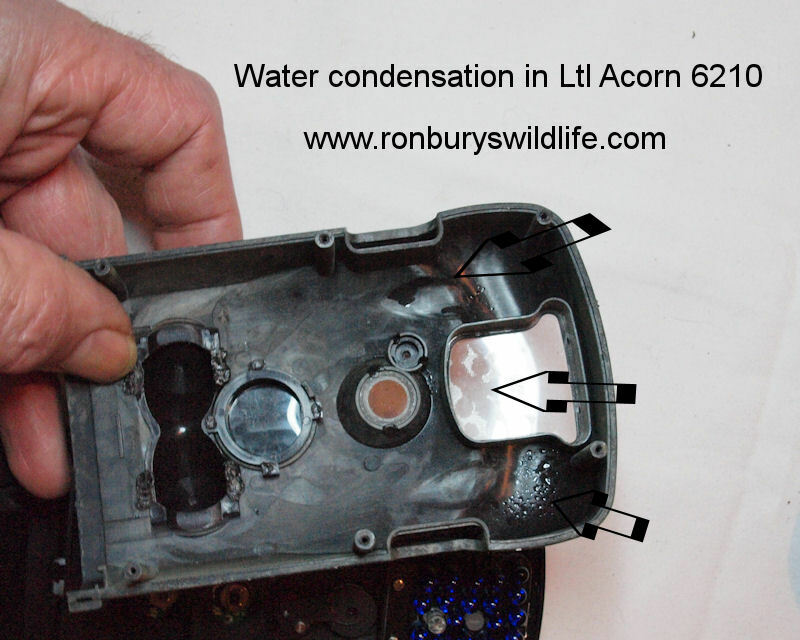 Since its launch at the end of 2011 the Acorn 6210 has had a problem with water entering the case. At first faulty sealing around the PIR detector windows was thought to be the reason; but it rapidly became apparent that water was entering around the bottom door seal. 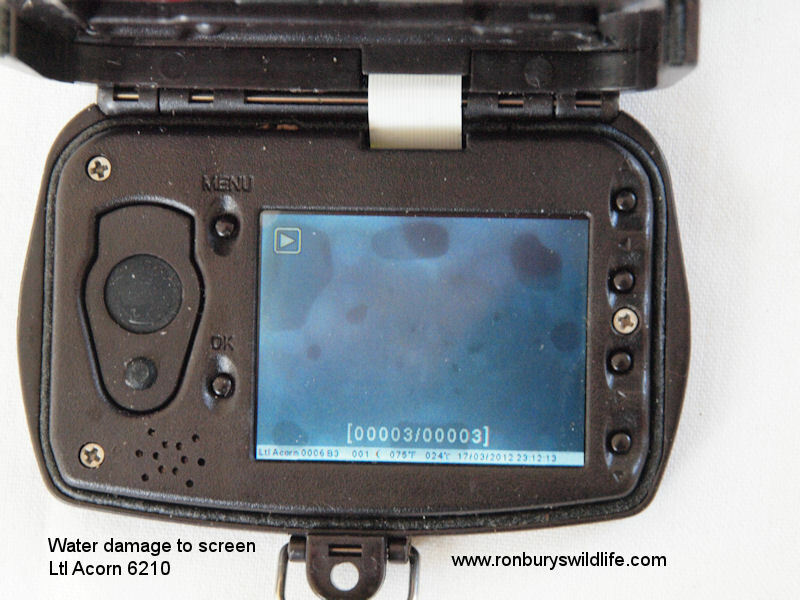 Figure 1 shows a gap in the case rib which runs around the front and sides of the bottom of the case. This rib buts against the seal in the door and for some reason it was not continued along the back edge in front of the hinge. This has since been identified as the reason for water ingress of the control panel. 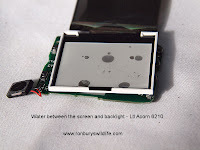 Figures 2 and 3 show the effect of water collecting in the bottom door and soaking into the screen layers. 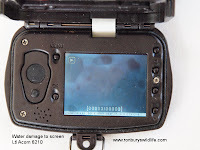 Water also gets into the control panel switches, causing random signals to the control electronics and making the camera unusable until it has been thoroughly dried out. Fig 1: Water entry ringed in red. rest of the case. A drop in outside temperature turns the case into a condenser and then moisture collects on the inside. It would seem that an otherwise excellent camera has been jeopardized by a design oversight and insufficient pre-production testing. The manufacturers have been working hard to re-design the case and release an upgraded camera which is predicted to be available early in June. In its absence I've been trying to find ways of mitigating the problem. 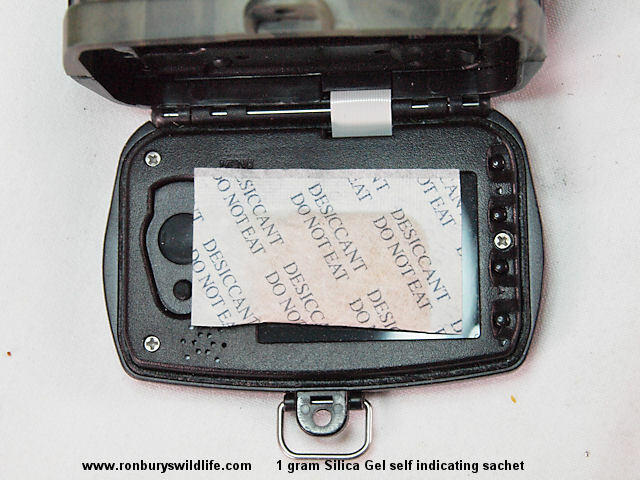 A 3 gram Silica Gel sachet placed inside the control panel door as shown in Figures 6 works for two to three days of intermittent heavy rain but the desiccant will inevitably be overwhelmed eventually. 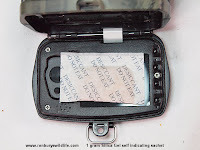 Taping or glueing a plastic skirt around the base of the camera will, if done correctly, give extended use, especially if combined with the Silica Gel but its not an ideal practical solution. 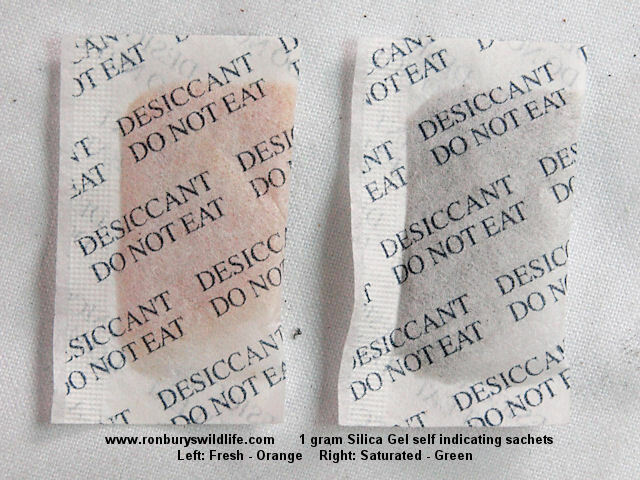 I've sourced 1 gram and 3 gram Silica Gel bags which will fit inside the door, although the 3 gram bag has to be cut down as shown in figure 6, to allow it to fit inside the seal. 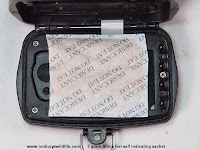 Care is needed not to cut too close to the inside edge of the border otherwise the contents may escape into the camera. 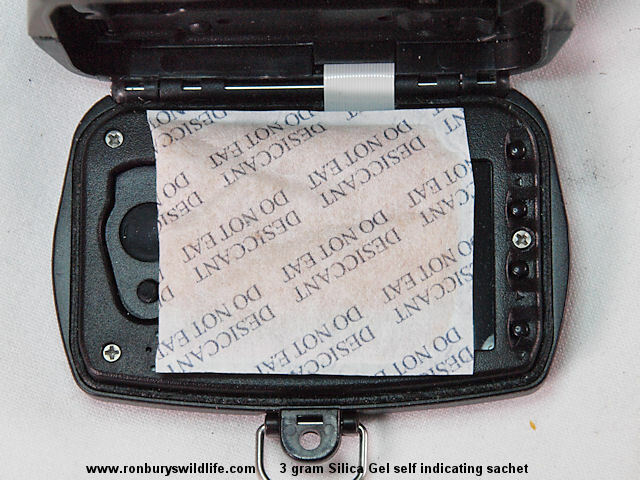 The 3 gram bag works best and anyone who has purchased a camera through this site can send me their name and address; and I will post them three bags per camera to try FOC. The bags are self indicating and turn from orange to dark green when fully saturated as shown in figure 5. To reuse them all you do is cook them in an oven at 100C for twenty minutes and they will turn back to orange. 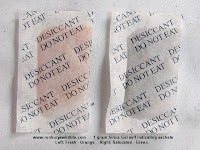 Don't leave them any longer otherwise the bag will char and spill the desiccant. Keep them in their sealed bag until you use them. is dry and the other saturated. and placed on the control panel. 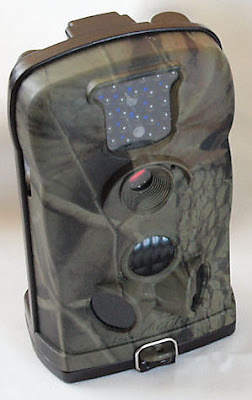 As soon as the modified camera is available I will be getting one to test before we order any new stock. 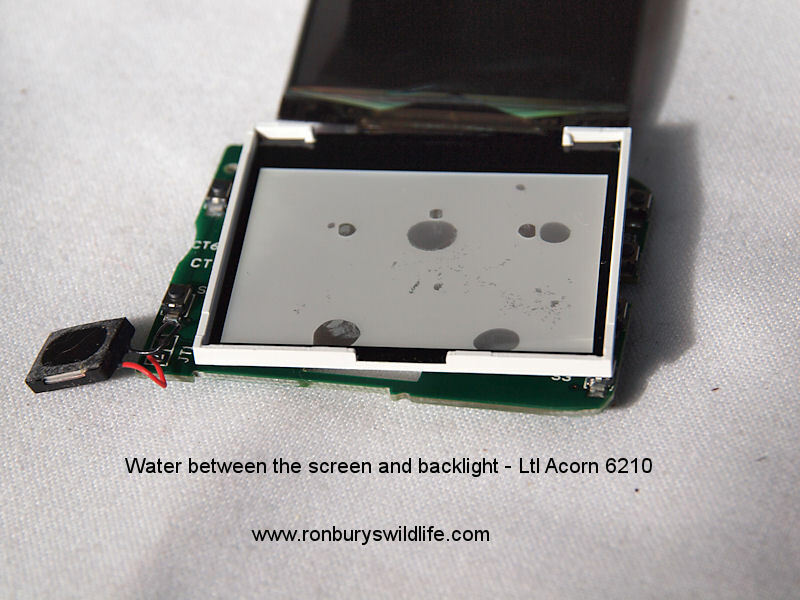 We will only be supplying the new camera when we are satisfied that it is fit for purpose in all weather conditions. My basic rain test is as seen in the video below using a watering can. The camera sits outside in an exposed location for three days and has fifteen litres of water showered over it three times a day, plus whatever the prevailing weather conditions subject it too. If it's still dry inside after the test, it will be considered rain proof and fit for purpose. I will also be testing all the cameras functions other than the MMS and completing a review of the new camera.